VietPress USA (June 11, 2018): According to the AP, North Korean leader Kim Jong Un has left the small Singapore island that was the site of his meeting with President Donald Trump. 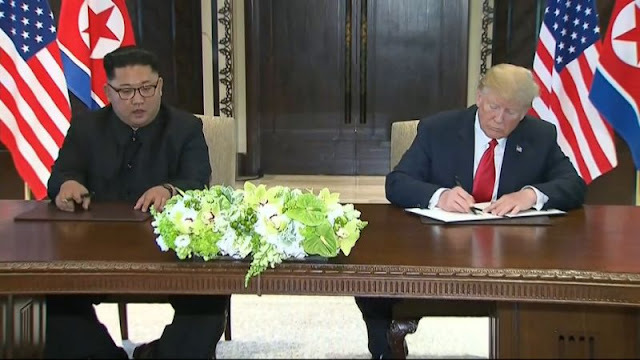 SINGAPORE (Reuters) - U.S. President Donald Trump and North Korean leader Kim Jong Un signed a "comprehensive" document on Tuesday following a historic summit in Singapore aimed at the denuclearization of the Korean peninsula. There were no immediate details on the contents of the document but Trump said he expected the denuclearization process to start "very, very quickly".